Have you ever wondered, what could be dropped here, what could be dropped there? Let me help you 🙂 The first Drop Table in English for EP9 – Arcane Trace and it introduces as Online Excel Format, you can check it everytime, everywhere ! e.g. Hazardous Valley (Hard) – if there are void cells on grade/slot/epic columns at SIGMetal weapons, what does it mean? Do they drop or not, maybe past times – yes but nowdays – not; how to interpret that? 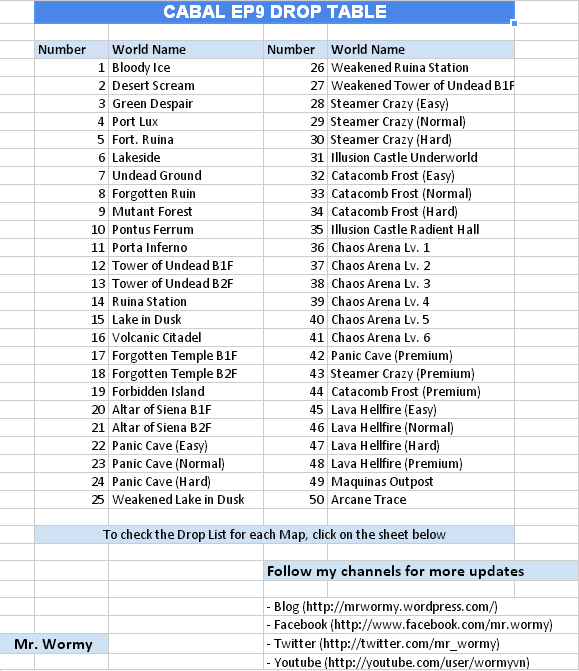 Add drop list from awakened, please.